DOOM will have extensive modding support through its drag-and-drop SnapMap editor. DOOM comes with a simple-to-use level editor called SnapMap, which Bethesda showed off at E3 2015. There will be no other mod support tools. “Everything that we’re doing on the mod side will be through SnapMap,” Bethesda’s Pete Hines told GameTrailers. Although the tools are simple to use, Hines said they will offer plenty of creative freedom to skilled modders; he compared SnapMap to Minecraft. “If you just pull any 12 year old and sit them in front of Minecraft, if they don’t know what they’re doing they could still make something: they can make a smiley face or build themselves a house,” he said. “But if you put it in the hands of someone who knows what they’re doing, they can recreate Zelda in Minecraft. “The SnapMap tools are much the same. Give it to anybody and they can do simple stuff, but the complex stuff – all those things that used to be super-complicated – the idea is that there’s enough complexity and depth there that you can do all this scripting stuff, and make new gameplay modes. That sounds great, but there are restrictions – Snapmap is only for interior spaces, and there are size limits on your constructions. That’s not ideal for those wanting to do full conversion mods and the like; Hines said it’s “more about the stuff you saw in multiplayer”. You can watch the discussion below; it kicks off at about 11:05. 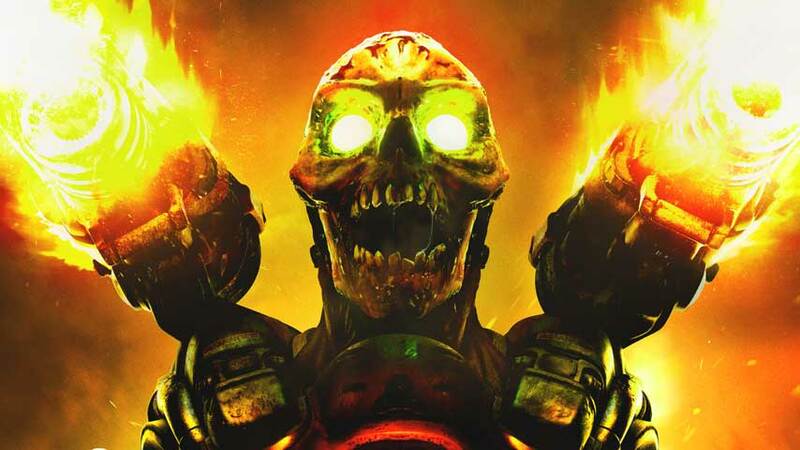 DOOM is coming to PC, PS4 and Xbox One in the first half of 2016. As an aside, this is the second time Hines has compared an upcoming Bethesda-published game to Minecraft – the other being Fallout 4.